For jobs such as equipment cleaning where steam only is required the SC 2400 is powerful enough for even the most difficult of jobs. 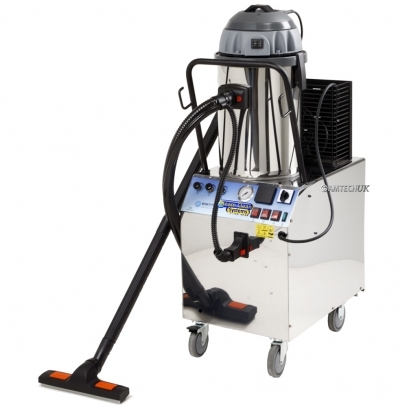 The SC 2400 Steam Cleaner has a 2400 watt boiler that produces a very high volume of steam 3.2 kg/hr together with a good pressure of 6 bar. The boiler is fed by a 3 litre water container giving a continuous running time of about 1 hour 30 minutes. 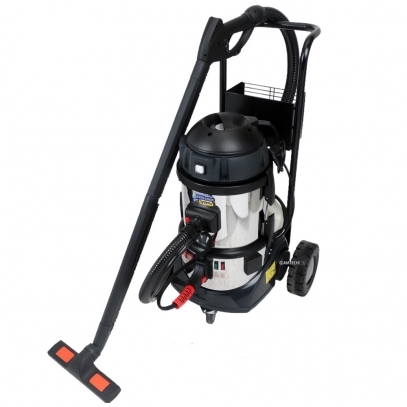 The SC2400 combines the power and performance of large generators with high mobility due to its small size (27x39x39cm), typical of machines for domestic use. 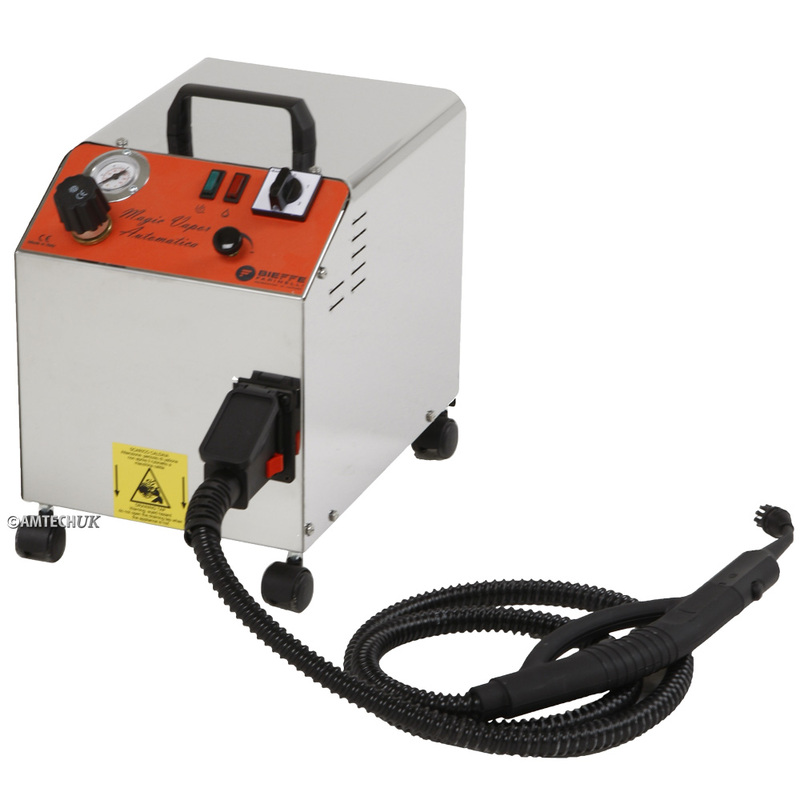 The SC2400 Steam Cleaner has a solid/strong design, a durable metal frame and is designed for continuous operation thanks to a system of automatic water refill that ensures an unlimited supply to the boiler.